The Supreme Court of Kentucky heard arguments Friday about the wording of the Marsy’s Law amendment voters saw on the ballot last November. The proposal would add new rights for crime victims to the state constitution. 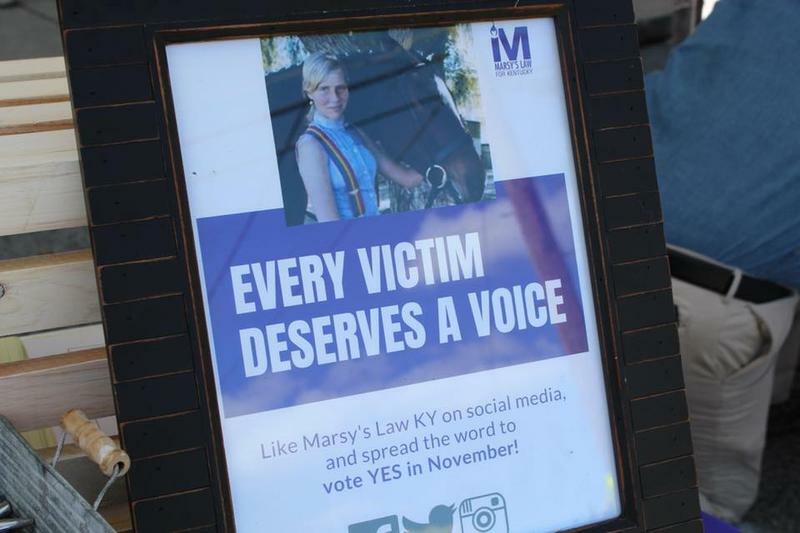 Even though 63 percent of Kentucky voters approved Marsy’s Law on Election Day, the measure has been delayed by a lawsuit that says the ballot question was too vague. 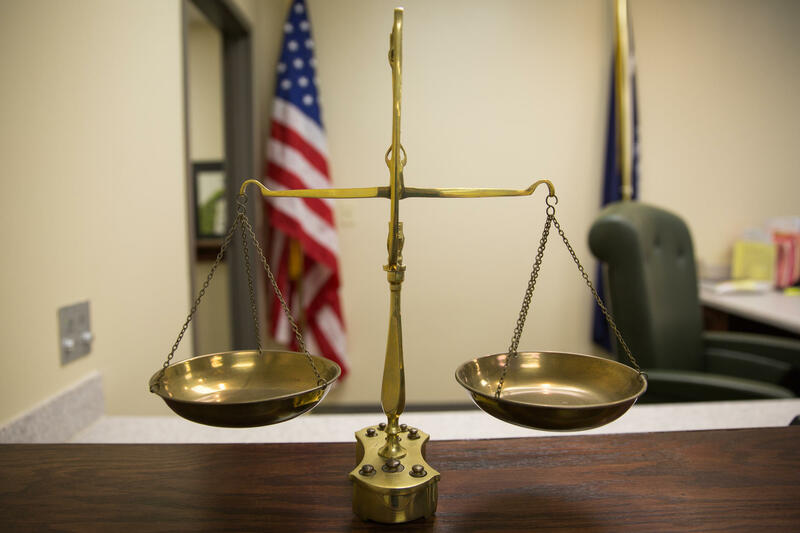 Marsy’s Law would make massive changes to Kentucky’s judicial system by giving crime victims standing in court during nearly all legal proceedings involving people accused of committing crimes against them. There would be 10 new rights enshrined in the state constitution including requirements that courts notify victims when a defendant is released from custody, allow victims to testify at all court proceedings and give victims the right to restitution from those convicted of committing a crime against them. But the Kentucky Association of Criminal Defense Lawyers sued to block the measure, saying that the proposal voters saw on the ballot last November didn’t adequately describe was Marsy’s Law does. Justice Michelle Keller appeared to agree with those challenging Marsy’s law. “If you ask the voters if they’re for crime victims’ rights, who other than a sociopath is going to answer any way but yes to that question,” Keller said. Sheryl Snyder, a lawyer defending the Marsy’s Law language, argued that voters were already aware about the contents of the proposal and that the ballot question was informative. “There was a big campaign on this amendment on both sides, vigorously fought on both sides, all kinds of public forums, television shows, newspaper articles. People were not uninformed about this amendment,” Snyder said. A lower court preemptively blocked Marsy’s Law from going into effect last fall, but allowed the vote on the measure to go forward. Since voters widely approved the proposal, its fate ultimately lies with the Kentucky Supreme Court. Justice Larry Vanmeter said that voters could have abstained or voted against Marsy’s Law if they felt the ballot language wasn’t clear. “The people voted and if they didn’t understand their option was to vote no,” Vanmeter said. Marsy’s Law was named for Marsy Nicholas, a Californian murdered by her ex-boyfriend in 1983. 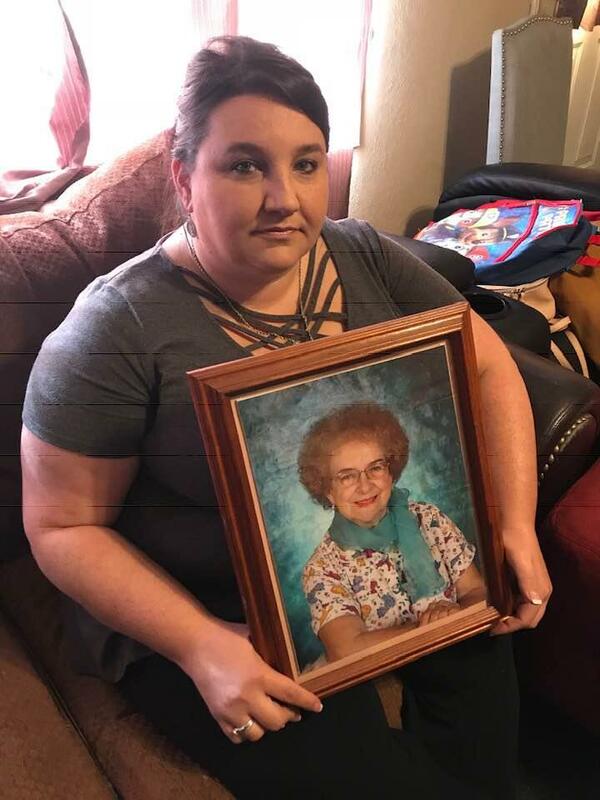 Her family pushed for the measure after running into the accused killer in a grocery store — he had been released on bail. Kenyon Meyer, a lawyer suing to block Marsy’s Law, argued that the measure was pushed for by a “well-funded interest group” and that voters didn’t know what the proposal was all about. “They put together the question and then a very sophisticated advertising campaign goes on where the constitutional obligation to inform the public of what it says never happens,” Meyer said. It’s unclear when a decision on the case will be handed down. 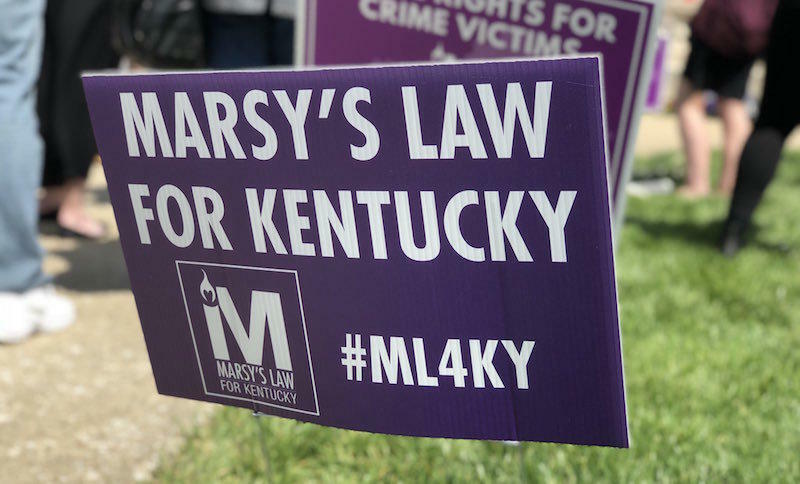 Marsy’s Law will go before the Kentucky Supreme Court on Friday, three months after the state's voters approved the measure as a constitutional amendment. The measure giving constitutional rights to crime victims was approved by voters in the Nov. 6 election with 63 percent support, but a legal challenge has prevented the law from being enacted. The law gives crime victims the same rights as the accused, including a voice in the judicial process. 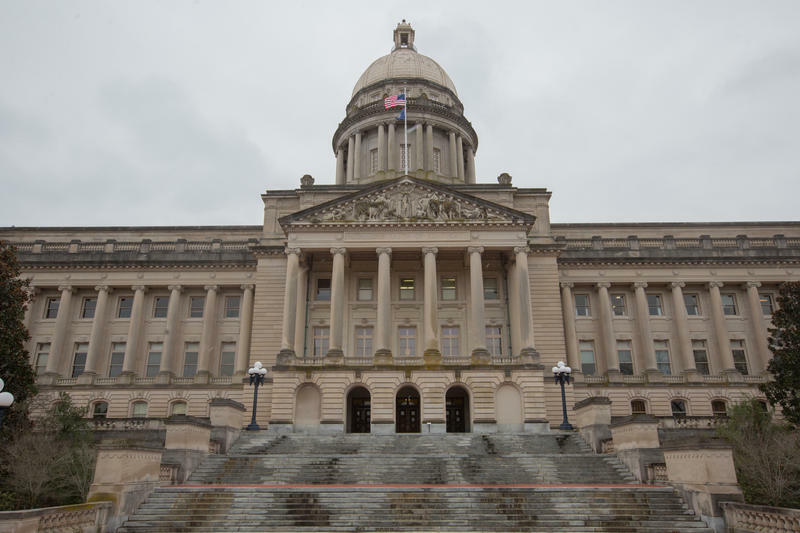 During the upcoming Kentucky General Assembly, lawmakers will consider taking up a variety of proposals like a new attempt to change state worker pension benefits, funding for charter schools and limiting citizens’ right to sue other individuals and businesses. Republicans have supermajorities in both chambers of the legislature and the governor’s office for the third year in a row, meaning they won’t need any help from Democrats to pass bills or constitutional amendments if they can stay united.